Today, I am going to share my thoughts on the Early Harvest Raspberry Body Scrub By The Body Shop. 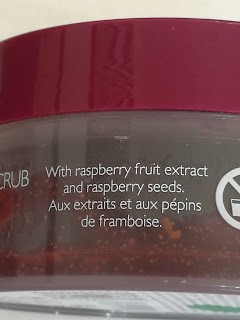 I love raspberries and hence,wanted to try out this scrub.So,went ahead and purchased this body scrub.What was the result of purchasing this product let's find out together. 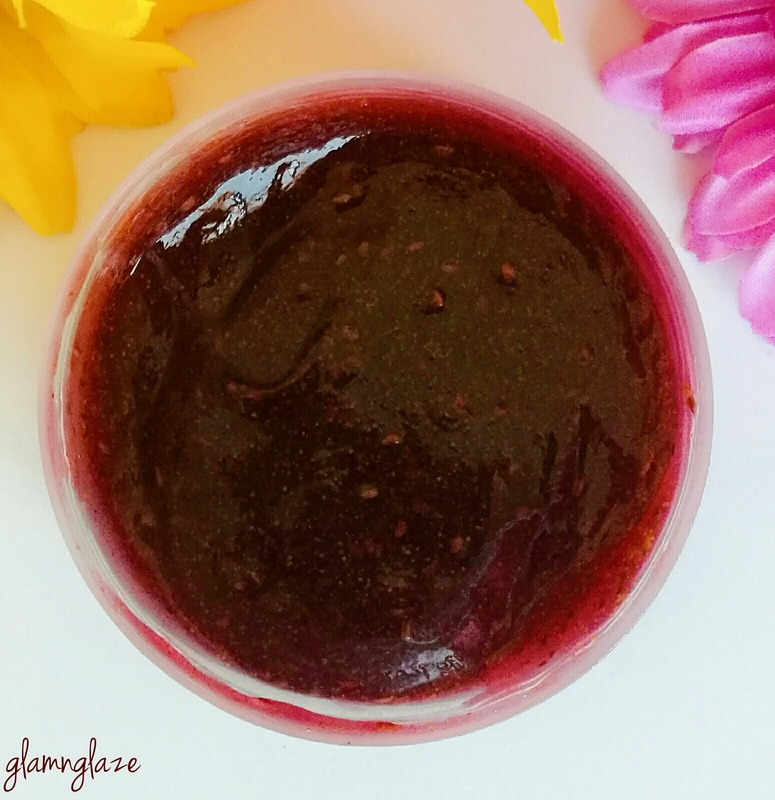 This exfoliating body scrub contains raspberry extract and has a gorgeously jammy texture. 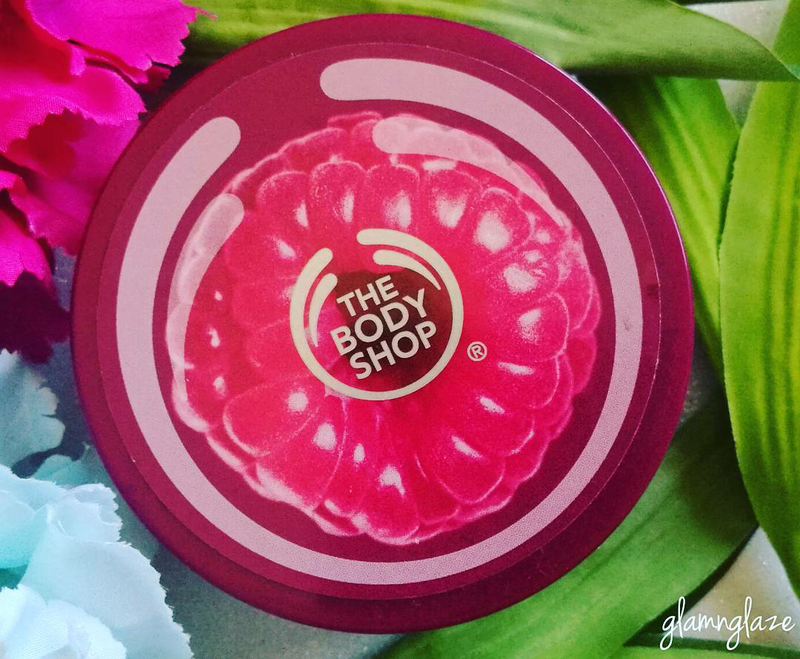 It leaves skin feeling softer and smoother. Aqua/Water/Eau, Glycerin, PEG-40 Hydrogenated Castor Oil, Juglans Regia Shell Powder/Juglans Regia (Walnut) Shell Powder, Rubus Idaeus Seed/Rubus Idaeus (Raspberry) Seed, Silica [NANO]/Silica, Polysorbate 20, Parfum/Fragrance, Benzyl Alcohol, Phenoxyethanol, Mel/Honey/Miel, Acrylates/C10-30 Alkyl Acrylate Crosspolymer, Sodium Hydroxide, Benzophenone-3, Butyl Methoxydibenzoylmethane, Disodium EDTA, PEG-30 Dipolyhydroxystearate, Trideceth-6, Rubus Idaeus Fruit Extract/Rubus Idaeus (Raspberry) Fruit Extract, Denatonium Benzoate, CI 14700/Red 4, CI 17200/Red 33, CI 42090/Blue 1. The product comes in a plastic tub.The theme of the packaging is raspberry as the product is made up of raspberry-fruit-extracts.All the details such as product-quantity,shelf-life etc are mentioned on the tub-packaging.Ingredients are mentioned on the official site of The Body Shop though.The body is made up of transparent-plastic .The twist-open lid is made up of opaque deep wine-pink coloured plastic.In case we are running out of the product we can easily check that out through the transparent body of the tub.Cool!The packaging is very sturdy ,compact and travel-friendly.I love the packaging. Oh my god!Just look at the ingredient-list.The raspberry body scrub is made up mainly of water,glycerin,castor oil,walnut-shell powder,raspberry-seed,honey,raspberry-fruit-extract.I love these ingredients.Glycerin,castor oil ,honey are supposed to keep our skin moisturized.Walnut-shell powder and raspberry seeds are meant to exfoliate the skin.The red coloured product has semi-gel like consistency.The body scrub smells nice and looks like raspberry jam...yummy:).It's not runny or too thick.Not sticky in any way. Adheres to the skin very well. Apply the body scrub on the damp skin and rub well in circular motions. 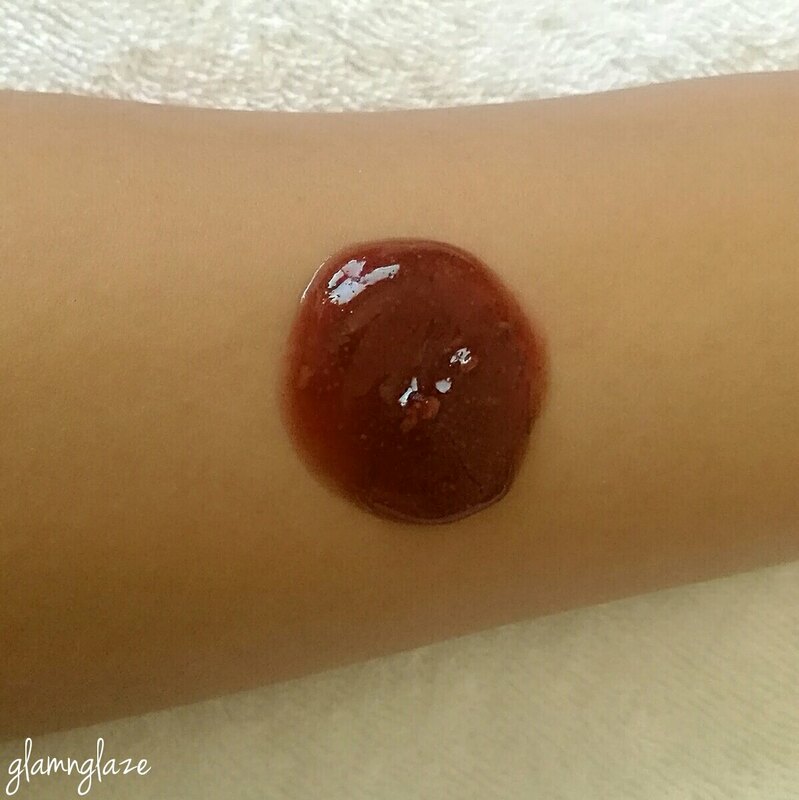 It works well as claimed.Leaves the skin soft and smooth. 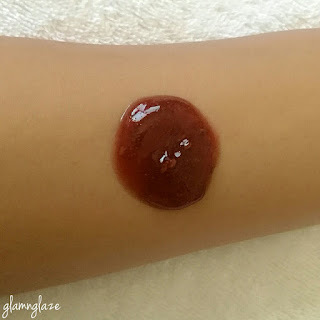 Even after we are done with scrubbing,the skin smells of raspberries which is really cool! Tub-packaging allows product-contamination.Use a spatula to apply the product onto your skin. Yes,definitely.Love the product's raspberry-fragrance and the product is effective too. 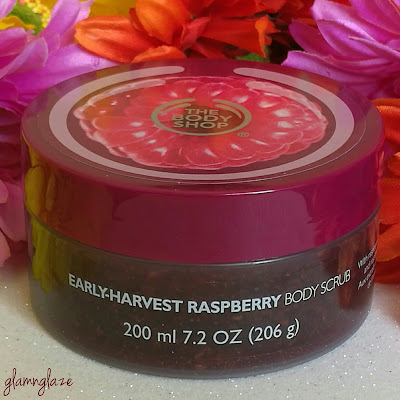 Overall,I really love this body scrub and would recommend it to you in case you are looking for an effective body scrub.Suitable for all skin types but,specially best for normal to dry skin types.Use this body scrub thrice a week to see it's effect.The product will last for about two months if used two to three times a week.